It is medically proven that probiotics are effective in treatment of intestines and stomach related problems. Despite their good effects, people suffer a lot due to lack of awareness about probiotics. 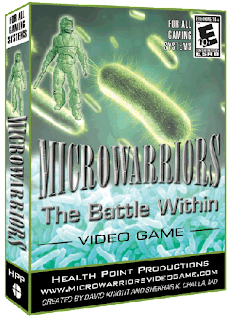 Health Point Productions has recently introduced "Microwarriors: The BattleWithin" that takes you inside the exciting world of these useful bacteria. It gives you a chance to learn everything related to probiotics, ranging from their discovery and origin to effects on various disease conditions. Unlike other health video games, it includes the most comprehensive and up-to-date scientific data from the leading gastroenteritis doctors in the world. This 3D animated probiotic video game is likely to provide you with complete entertainment and give answers to your questions about probiotics. 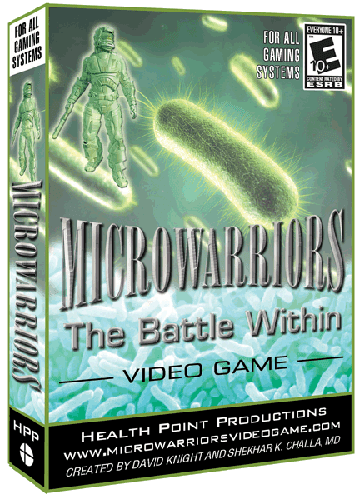 If you want to know how probiotics can strengthen your digestive system and reduce inflammatory symptoms in stomach, you should try "Microwarriors: The Battle Within". It is capable to address your concerns regarding the use of probiotics in different age groups and in different disease conditions. You will get to find exclusive and educational materials on Probiotics that will help reduce your weight and keep you in perfect shape. So, watch out this exceptional documentary and gain an idea on how to promote health and well being with the help of probiotics. 1. It educates people on the useful aspects of probiotics in an interactive manner. 2. It discloses a strategy that can prevent various stomach related problems in people. 3. It presents latest scientific details on how to beat bad bacteria and restore your health naturally.